There are movies that come around every now and again where it’s so clear that the film makers poured their entire hearts and souls into it. Sometimes, a film maker comes along where it seems like that’s all he’s capable of doing. A few years ago, Damien Chazelle gave the movie world Whiplash, a film about jazz drumming, passion, and pain. It was easily one of the best movies of 2014. 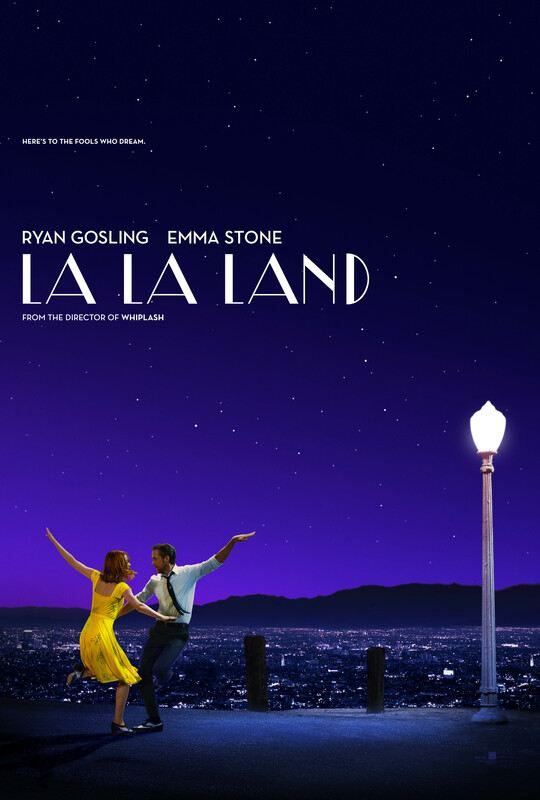 Chazelle knocks it out of the park yet again with his latest film, which just so happens to be an original musical, La La Land. Like Whiplash, La La Land is a film about jazz and passions to succeed in what you love, but told in a much different way. By the time the movie ended, I almost could believe what I saw. Hollywood is filled with a dreamers and hidden potential, but there are some who truly make these dreams part of their lives. Mia (Emma Stone) is a barista in a small coffee shop in a movie studio who also spends her days rushing to different acting auditions, hoping beyond hope that one of the will be her big break. Sebastian (Ryan Gosling) is a jazz pianist who earns what little money he has playing in bars and restaurants, even when their theme or style isn’t the music he loves. His goal is to one day open a jazz club that truly is all about the music in its raw, organic form. The two also seem to keep running into each other as if by fate. While their both quite different, their passions for their respective dreams are very much the same and a relationship quickly forms. The ultimate test for them, however, is can it withstand what it takes for them to achieve their dreams. There’s so much to talk about with this movie, I don’t even know where to begin. I left the movie feeling so excited and my brain was just going a million miles a minute. I’ve had some days to think on it, and I’ve been enjoying the movie even more as I think about it. I guess a good place to start would be the music. I’m not a huge fan of musicals. There are some exceptions to that rule like Meet Me in St. Louis, The Producers, or Chicago, but I really can’t get too into them. La La Land takes everything I do like about musicals and utilizes them to the fullest potential. The film opens with a big musical number on a crowded freeway, which is filled with different colors, sweeping camera work, and energy that flies off the screen. Every musical number keeps up this level of energy and wonder but uses them in different ways. Two standout scenes are a song and dance number on a cliff overlooking Los Angeles and a slower number inside Griffith Observatory. There’s grand numbers like the big finale, but there’s also smaller and quieter musical themes that tie the movie together. Chazelle has shown in Whiplash that he is more than capable of writing characters that feel very original and exist perfectly in the movie they inhabit. When I went into La La Land I was excited to see the musical numbers, the colors, and a lot of the more technical aspects of the movie, but I didn’t really have expectations for the characters. I was pleasantly surprised with how well rounded and real these characters felt, especially since they existed in a musical. They never felt like archetypes or characters made solely to break into song and dance. 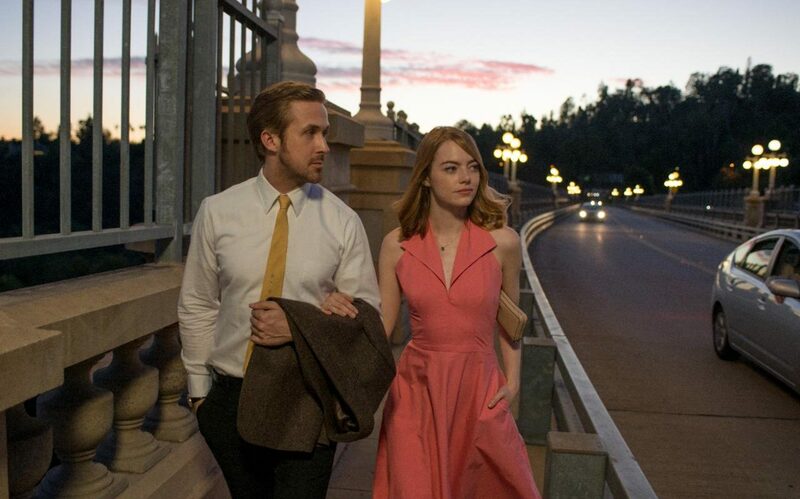 Ryan Gosling and Emma Stone have fantastic chemistry, and it almost didn’t feel like I was watching them act a scene, but rather peeking into the lives of the characters. A lot of their realness can also be attributed to Chazelle’s writing and how he throws in a lot of quick comedy and natural dialogue. Finally, we come to the film making. La La Land is one of, if not the best directed movie of the year. The way this movie is shot is a marvel to behold. From the opening shot to the very last, the movie has a beautiful widescreen quality and a color palette that will catch you attention immediately. The aspect ratio of La La Land is 2.55:1 which is known as CinemaScope. This makes the film look really big, and there are certain scenes in this movie where it really shows. Of course, it’s no surprise that this technique was used mostly in the mid-1950s into the 1960s. Chazelle also works great with cinematographer Linus Sandgren to use the camera and the lighting to the fullest. I go back to the opening musical number where the camera swoops all over the freeway in such grand ways. It caught me right away and held me until the very end. Just thinking and writing about La La Land is getting me excited all over again. This is some of the most fun I’ve had at the movies all year and it’s a reminder of why I love them so much to begin with. This film is a love letter to film and the passion and love of the arts while also standing as it’s own established movie. It’s filled with excellent music, natural performances, and so much magic that I’m starting to think Damien Chazelle must be from some other dimension. La La Land is absolutely phenomenal.